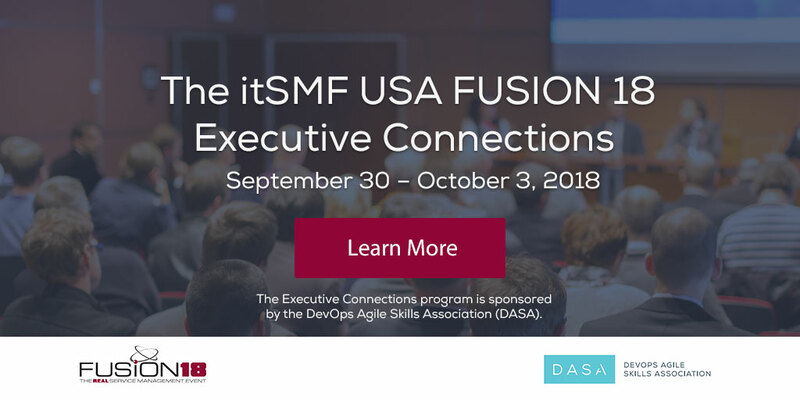 We are delighted to inform you that the DevOps Agile Skills Association (DASA) are the proud sponsors of the itSMF USA 18 – Executive Connections Program. We invite you to join a highly engaged and exclusive group of IT Service Management Professionals at FUSION 18 Executive Connections. 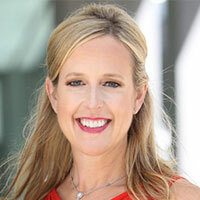 You can share stories alongside IT executives, hear from two thought-compelling keynote speakers and gain new leadership concepts from those achieving service success outside of your company. Widen your circle of contacts with Executive Connections; meet with your peers and invited industry experts who can help you make the most of your time at the FUSION conference. Meet with your peers in an exclusive forum where leaders from diverse industries and markets come together to discuss the opportunities and the challenges they face as they work to transform their teams, business models and culture to succeed in a digital world amidst the disruptors that every industry faces! 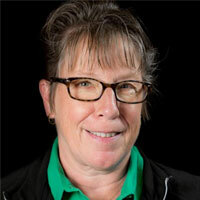 Cathy serves as the Conference Chair for the FUSION conference and is a past president of itSMF USA and the Chicago itSMF Local Interest Group (LIG). 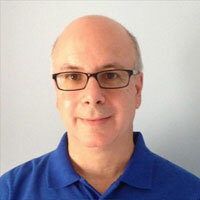 Carmen is a DevOps industry leader who led a team that implemented DevOps practices and technologies at a Fortune 100 Company. How to see yourself as others see you. 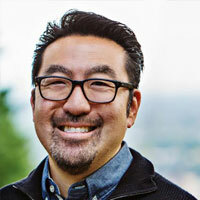 How to Communicate with brevity; build trust to be heard.